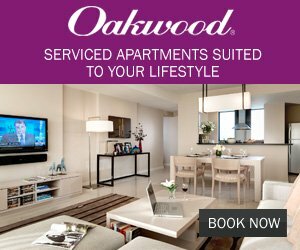 Advance Purchase, Up to 20% Off Oakwood Premier OUE Singapore!! Advance Purchase, Up to 20% Off Oakwood Premier OUE Singapore. Enjoy the following Advance Purchase rate when you book early with us: 20% off Best Flexible Rates for bookings made at least 21 days in advance. 15% off Best Flexible Rates for bookings made at least 14 days in advance. Rate includes complimentary daily breakfast. Terms and Conditions: Offer is not applicable on existing contracts. Not valid in conjunction with other promotional offers. All rates are subject to applicable taxes and service charge. Rates are per apartment, per night. Rates are subject to availability and blackout dates and terms and conditions such as cancellation policies apply. Rates may be subject to change without prior notice. Book Now. Rooms Starting from 414.93 CNY + Breakfast Oakwood Asia, China.. Rooms Starting from 414.93 CNY + Breakfast Oakwood Asia, China. China: a journey to this Eastern treasure is also a spellbinding expedition through time. From ancient towns to futuristic cities, China is both an ode to the old as well as the new. Stay at our serviced apartments in Beijing, Guangzhou, Hangzhou, Sanya, Shanghai, Suzhou or Yangzhou for a glimpse into hidden cities, towering architecture and archaeological treasures — and a peek into the future. Book Now. Rooms starting from INR 4502 + Breakfast. Rooms starting from INR 4502 + Breakfast Oakwood Asia, India. India is a well of undiscovered magic and mystery. From dramatic snow-capped peaks to sun-washed beaches, its terrain is nothing short of spectacular. A stay at Oakwood’s serviced apartments in Bangalore, Hyderabad or Pune will help you unveil a rich canvas of people, tradition, sights and flavors. Book Now. New Year Indulgence Offer, from S$294.56 + Breakfast!! New Year Indulgence Offer, from S$294.56 + Breakfast Oakwood Premier OUE Singapore. Terms and Conditions: Booking period from 1 January to 28 February 2019. Staying period from 1 January to 31 March 2019. Minimum stay of 6 nights*. Rates are subject to availability at the point of confirmation and strictly for new bookings only. Rates are inclusive of 10% service charge and 7% GST. Cancellation of booking must be informed 14 days prior to arrival for monthly bookings. Cancellation of booking must be informed 48 hours prior to arrival for weekly bookings. For early termination of stay, full rental payment will apply. Complimentary upgrade to One-Bedroom Deluxe apartment is subject to availability. The Management reserves the right to amend or terminate the offer without prior notice. Book Now. Romantic Getaway, From S$528 + Breakfast!! Romantic Getaway, From S$528 + Breakfast Oakwood Premier OUE Singapore. Step into lovers’ paradise and throw a sweet surprise in our spacious One Bedroom Executive apartment decorated to the theme of Valentine’s Day. Spend quality time together with our complimentary A Rhapsody of Love three-course set dinner and wake up to scrumptious breakfast delivered to your apartment as well as enjoy late check-out for the ultimate indulgence. The room package includes the following complimentary privileges: Upgrade to One Bedroom Premier apartment (subject to availability). In-room dining breakfast or daily buffet breakfast at SE7ENTH for two persons. Late check-out at 2pm (subject to availability). A Rhapsody of Love set dinner and A Spritz of Romance cocktails for two persons at SE7ENTH. Themed balloon decorations in the apartment. Offer is valid for bookings from 8 to 14 February 2019 and for stays from 9 to 17 February 2019. Book Now.